For basic information about copyright, classroom guidelines, fair use, obtaining permissions, and policies and procedures at EMU, visit the EMU Library's Copyright Guide. Researchers want their work to be accessed and used by as many people as possible. Widespread access to journal articles increases the likelihood that those who could benefit from the contents. However, when researchers seek to publish their articles in high-caliber, peer-reviewed journals, they are often required to sign over their rights to their work. For more information, read SPARC's brochure on Authors' Rights or read on about "What Authors Can Do." There are steps authors can take to protect their rights to use and distribute their articles. Negotiate with publishers to retain important rights to your work. SPARC's Author Addendum. Use SPARC's Author Addendum to secure your rights to your articles. Scholar's Copyright Addendum Engine. Developed by Science Commons.org. "The Scholar's Copyright Addendum Engine will help you generate a PDF form that you can attach to a journal publisher's copyright agreement to ensure that you retain certain rights...."
Publish in journals that are open access or that have copyright policies that honor authors' rights. Directory of Open Access Journal. Browse the directory of full-text, freely available scientific and scholarly journals. SHERPA/RoMEO.This site monitors journal publishers' copyright policies, and indicates how restrictive a particular publisher is regarding authors' rights to share different versions of their work. Deposit post-prints (article version accepted by the journal) in disciplinary or institutional archives, such as EMU's Digital Commons@EMU. Commit to one or two items extensive list of suggestions of how faculty can support OA initiatives. 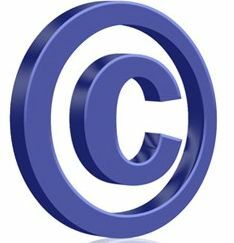 Creative Commons provides "free, easy-to-use copyright licenses provide a simple, standardized way to give the public permission to share and use your creative work — on conditions of your choice." To learn more, visit the Creative Commons website or atch a portion of Lawrence Lessig's EDUCAUSE 2009 presentation on Creative Commons.